Doral’s effort to bring a more contemporary feel to Doral real estate is very evident with the newest townhome community called Doral Cay. 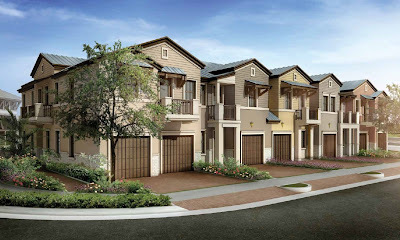 This enclave of 16 townhomes with either three or four bedrooms has a tropical feel and island-style architecture. 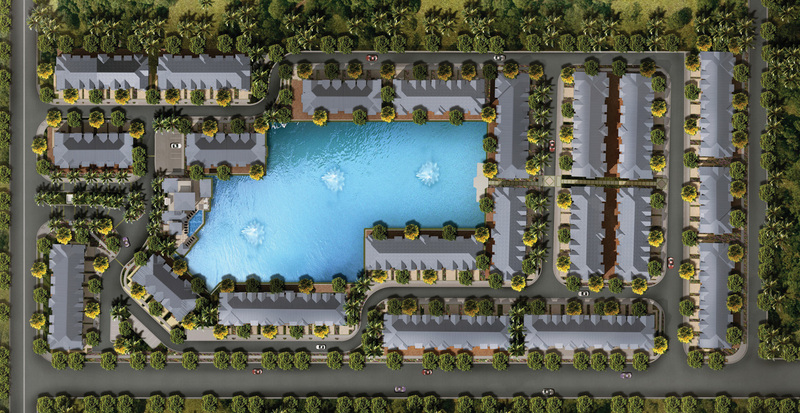 This goal of Doral Cay is to create a tranquil oasis surrounded by all Doral has to offer its residents. Developed by the Terra Group, Doral Cay is designed to be an upscale mixed-use and gated residential community set in the heart of Doral. The Terra Group is probably Doral’s premiere real estate developer with other residential communities like Vintage Estates and Modern Doral as well as other developments like 900 Biscayne in downtown Miami. Doral Cay is situated just off NW 58th Street in the heart of Doral. With the Doral Golf Resort and Spa, Dolphin Mall and International Mall just 10 minutes away, Doral Cay real estate is also close to the major thoroughfares in and out of Miami-Dade County as well as only 20 minutes from Miami International Airport. 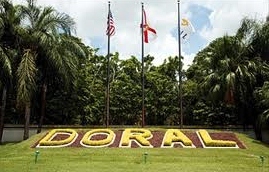 Incorporated in 2003, the city of Doral has shown a constant increase in population with its balanced combination of business and residential appeal. Because it is so close the area’s major transportation hubs, several corporations have placed their headquarters or opened offices in Doral including Carnival Corporation and a subsidiary, Carnival Cruise Line, Perry Ellis and many more. Doral Cay is a gated community with several park-like plazas for children to play as well as a unique atmosphere to appeal to those seeking a laid-back tropical lifestyle. The community features island-style architecture as well as prestigious amenities like a secure gate with a manned guardhouse at the entrance to the community; a beautiful clubhouse with meeting areas, a state of the art fitness center, a children’s playroom area, a kitchenette, and sauna with lockers; infinity pool with large white cabanas and spa on a sun deck overlooking a lake; a pool deck that surrounds a kids’ water park; and more. Inside each home, there is so much attention to detail. High-end fixtures and finishes are the norm with extras like a state of the art security system; advanced wiring for all utilities; full size washer and dryer; large and spacious rooms; a gourmet kitchen with quartz counter tops; stainless steel appliances; and so much more. For the most part, these townhomes have everything to offer those who want luxury living in Doral. Still in a pre-construction phase, the two-story Doral Cay townhomes range in size from about 2,100 to over 2,500 square feet and contain three and four bedrooms. As a new addition to Doral real estate, list prices will start from the low to mid-$400s and climb to almost $500K depending on the floor plan. In terms of a payment plan, buyers can expect to pay about 30 percent down with the remaining 70 percent due at closing. The initial down payment is broken up between contract signing, construction start and roof top off. 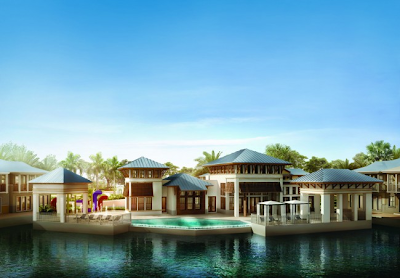 Doral Cay is unlike any other community with its design and layout. There is so much to offer buyers that this is a community that will be extremely popular with all types of buyers from professionals moving to the area to seasonal residents who want to be close to everything in the area and have the added security of this gated community. Doral real estate is set to see much more growth as the real estate market as a whole continues to rebound. Please watch for more details as they come available. You have really good homes with designs and layouts and I really appreciate your work.As i am planning to buy New Westminster Condos but now i have to rethink about my decision.